Following the successful outings it monthly fashion retail and lifestyle store, the L’Espace team is set to expand its numerous services, by introducing the most resilient category yet – Beauty. The beauty bar at L’Espace will provide a breathtaking selection of skincare, beauty and make-up brands alongside beauty and hair treatment services all in an upbeat, vibrant environment on its first floor. According to L’Espace’s rep, treatments on offer include a full service blow dry bar with colourings and precision cutting services, a lash and brow bar as well as body treatments and other grooming services. Established brands will be available alongside niche and specialist skin and hair care brands. 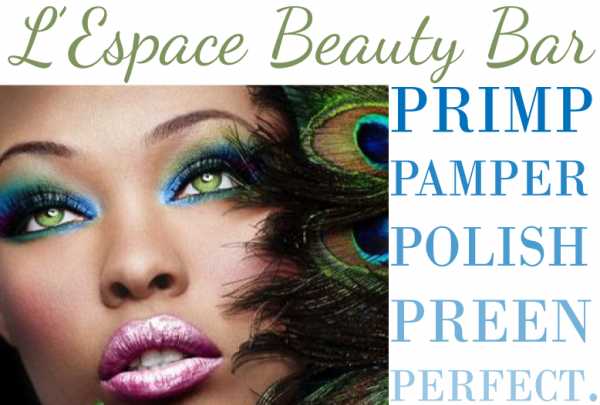 The Beauty Bar at L’Espace will afford customers access to some of the most important brands in beauty and avail them of endless opportunities to be pampered and preened with the very best selection of top-to-toe treatments. Scheduled to open in the last quarter of the year. The Beauty Bar will be the ultimate beauty destination – Whether its for a quick file and polish or a perfect blow dry, after picking out the perfect outfit for an evening out – Their aim is to be the best way to indulge your inner prima-donna. For more info and vendor enquiries, call 07028028960 | e-mail l_espace@lpmnigeria.com.